It may surprise you but tax accounts don’t need every single receipt from the past year. Though each year it’s hard to know exactly what you need to save and what information you need to keep together. At Dane Holdings Tax Service we offer our returning clients a personalized tax organizer packet that is geared toward their specific needs because a real estate agent’s tax year is not the same as teacher’s tax year. Every one has different income and different deductions and we are prepared and ready to tackle those tax returns. If you are not a returning tax client, we do offer a generic tax organizer to help you get started! The Dane Holdings Tax Organizer is a free PDF geared to help you organize your tax information even if you are not a Dane Holdings tax client. The tax organizer packet has only generic tax information guidelines. 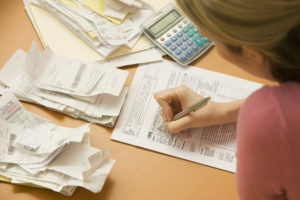 If you have very specific tax needs please call us for a more detailed organizer.